Need more storage? Gristmill can help! The longer an avid seamstress is in business, the more likely she is to run out of storage space. Gristmill builds a chest of drawers to give you more space to organize. 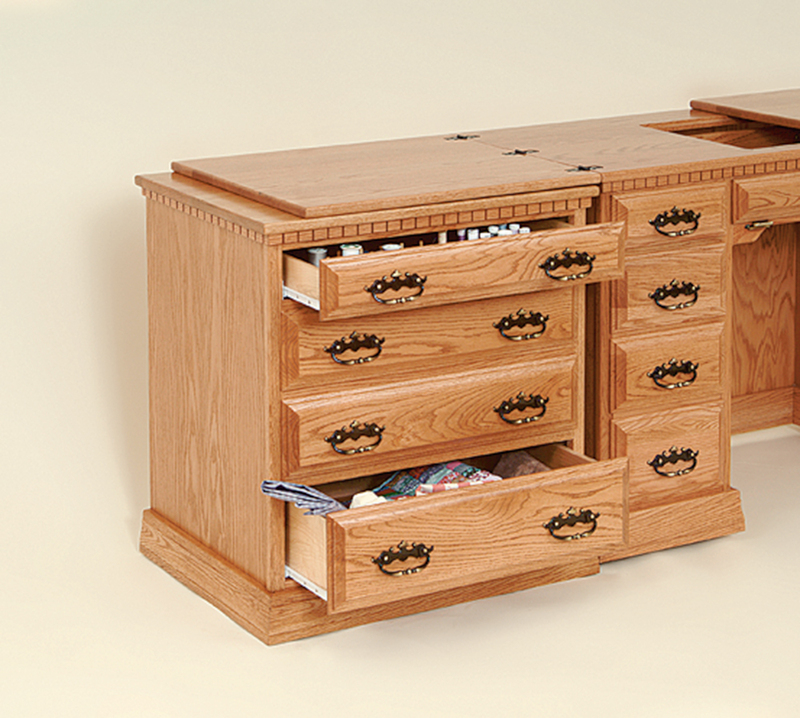 We can design this set of drawers to match the other furniture in your sewing room. Do you prefer the chest of drawers attached to your sewing machine cabinet, or would you like a stand-alone unit? Either way, we’ll be happy to serve you. You get four drawers when you buy the chest of drawers. All the drawers are 21 3/8" wide by 18 ¼” deep. The top drawer measures 2 ¾” high. The two middle drawers are 4” high, and the bottom drawer is 6” high. Have you ever considered the soft close drawer option? 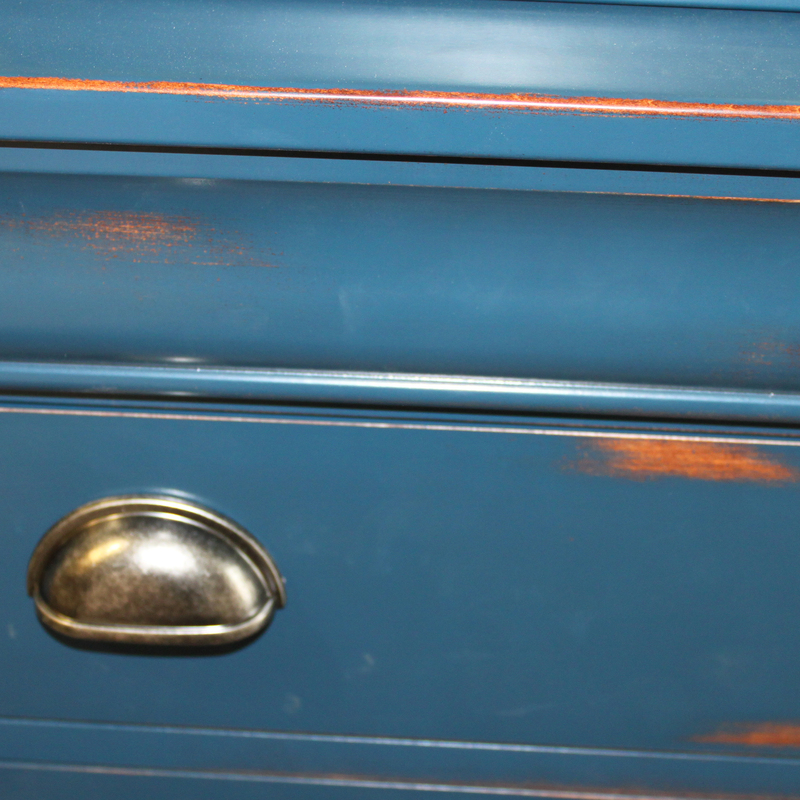 Do you wince when your children slam drawers? Or perhaps in the hurry of trying to get too many things done in too little time, you find yourself shutting drawers forcefully? 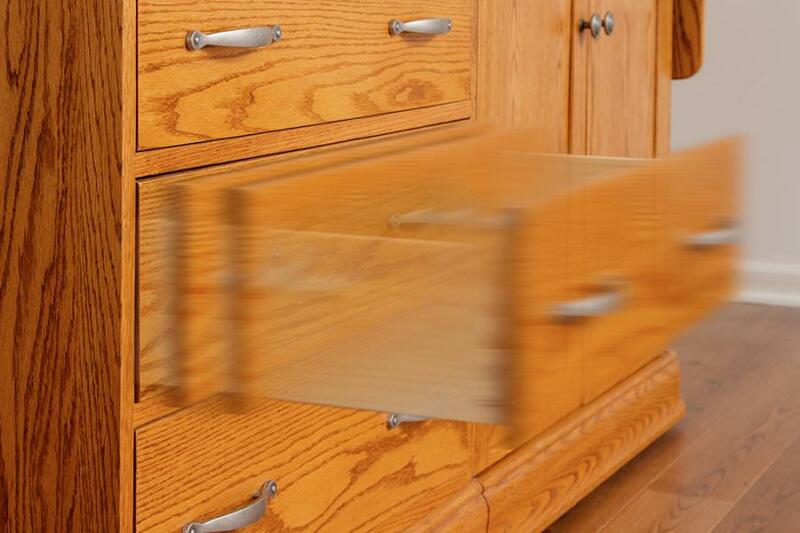 The soft close mechanism takes over just before the drawer closes completely. It slows the drawer down, allowing it to shut softly and quietly. The soft close option reduces the wear and tear on your furniture, increasing its longevity. 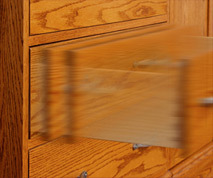 A soft close drawer also helps to keep your sewing notions in the right spot when you shut the drawer. No more banging drawers means that the contents of the drawer also get treated gently! Soft close drawers keep little fingers safe. A child’s fingers are unlikely to get pinched because the drawer closes slowly the last half inch or so. Gristmill would love to hear from you! Fill out our Contact Us form, and we will get back to you with answers to your questions! • Dimensions - W 26.75 in. x D 21.5 in. x H 29.75 in. Chest of drawers is on right side of image. Traditional style in oak with Lynford stain.